Seasonality of yearling calf prices. 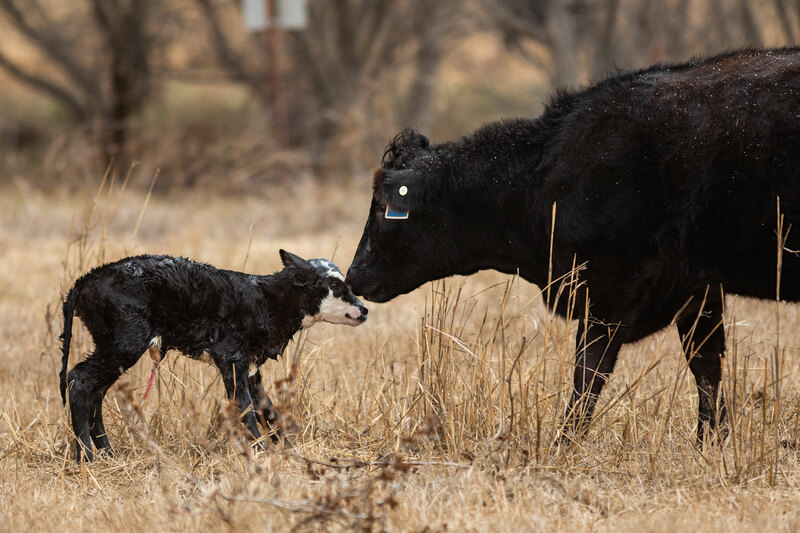 In the Southern Great Plains, spring calving seasons are most popular, seconded by fall calving seasons. A continuous calving season has been shown to have more issues with management and marketing. Having a group of yearling calves that are larger and uniform in size and color has been shown to increase marketability. 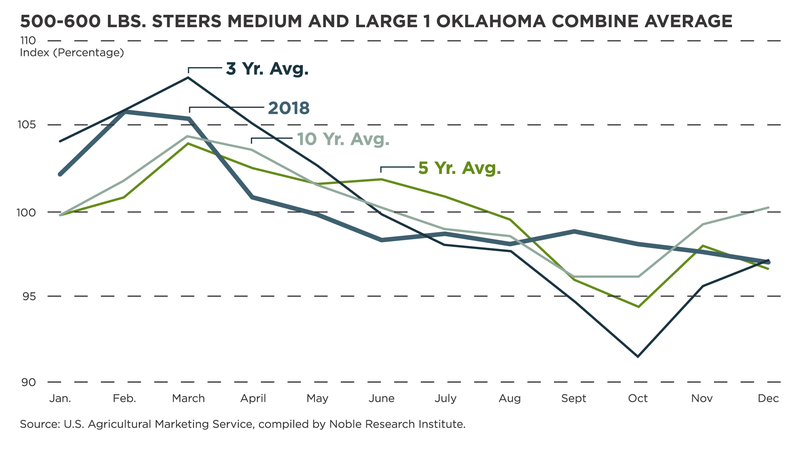 In Oklahoma, forage availability and nutrient requirements are among the top factors, outside of yearling cattle and feed prices that influence timing of the calving season. A cow’s peak nutrition requirement is going to be shortly after that calf is born. If this is in the fall, there is a good chance that more supplemental feeding will be needed in order for her to provide for the calf and be ready in time for the next breeding season. This is going to increase her annual cost. However, if she calves in the spring, she may need less supplementation with the availability of new forage growing. While this may seem like an obvious choice, we have to look at the other factors. By looking at an indexed price for yearling steers weighing 500 to 600 pounds (shown in the chart), we can see that having a calf of this size has a higher price in the spring compared to the fall. This is influenced by multiple factors, including more calves going to the market in the fall due to more spring-calving herds in this part of the country. This increase in supply pushes prices lower. This causes a trade-off between the two management styles. The higher prices received by the spring yearling calves is offset by the higher management costs for that fall calving herd. The lower prices received in the fall are made up by having lower cow costs with the spring calving herd. This is why it’s important to look at your entire operation and consider the other factors, like available labor or even the weather in your area. There are trade-offs between all management decisions you face. Understanding the seasonality of the cattle markets is just one of the pieces to the much larger puzzle of producing cattle.